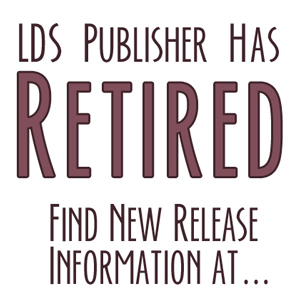 I stumbled onto your blog tonight while searching for LDS publishers, and I think you might be able to answer my questions (or just put my mind at ease, at least). I submitted a manuscript to [ABC Publishing] last winter, and in May the editor told me they loved my book and went through the approval process, but couldn’t make it work financially for them. She said their overhead was too high to produce it. The editor passed my submission along to another editor at a smaller publishing company because she felt it would be a good fit for them. I called the new editor about 6 weeks later to find out what the status of my book was. She said she loved it, but the approval process could take another 8 weeks, give or take. I waited patiently for 6 months and called again. She said she was about to go into a meeting and would track it down and call me the next day. She never called. I left her a voicemail last week, which was never returned. My questions: Should I keep bugging her? And, is it typical for editors to not give a response if they don’t want to publish something? Nine months seems like a very long time for an approval process. But I don’t really know… this is my first submission and I don’t know what is typical. I’d love to hear any insight you might have on this! If a publisher/editor doesn’t like something, they usually respond fairly quickly—unless they’re just so bogged down with submissions and other work that they haven’t even had a chance to look at it yet. But my guess, based on your feedback from the previous editor, is that this editor wants it but is trying to figure out how to budget it. My guess is they’re struggling. Publishing is in flux right now and many smaller houses are hanging on by their toenails. The fact that she didn’t call back and hasn’t returned your message is not a good sign. Here are my general suggested guidelines: If they tell you the approval process could take 8 weeks, give them the full 8 weeks. Call them on week 9 for an update. If your book is still in the evaluation process, ask them when you can expect a decision. If you’re okay with the length of time they give you, then be patient again. Don’t bug them during that time frame. If you don’t hear from them again, call and repeat the process. Or withdraw your submission. If 8 weeks is their usual response time, then nine months is unreasonable. Personally, I’d call and say I was looking at other publishers and if I haven’t heard from them in two weeks, I’ll assume they’re no longer interested. Then I’d start checking out other publishers. Question: What if you've submitted a manuscript and just haven't heard anything back? I can understand making contact if the editor or publisher has already expressed interest, but what if you've got nothing? I submitted my manuscript to a publisher almost 4 months ago, and their website indicates that their time frame for a response is within 12 weeks. I don't want to appear unprofessional and annoying by contacting them, but I'd like to know where I stand so I can move on to other publishers if necessary. Any thoughts? Kasey, same general rules as the post indicates. If their website says 12 weeks, and it's past that time, contact them for a status update. But check their site first. Some publishers are saying if you don't hear from them within that time frame, assume they're not interested. Great answers – both. They're educational. Thanks LDS Pub. Great, thank you! I figure I'll give them another 2 weeks to account for the holidays the past few months, then I'll do some investigating. One of my manuscripts has been with a smaller LDS pub company since June '11. And initial response was sent to me indicating their interest level and expected wait time. It was professional. I waited past that time and then contacted them (the editor directly) for an update. She indicated in a timely reply she hadn't had a chance to fully review the work and asked if I wanted to remove it from consideration. Another professional response, I thought.